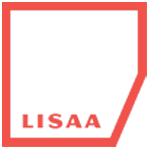 Students studying in other colleges/universities can apply for lateral admission to Lisaa School of Design . Lateral admission can be for 2nd or 3rd year in any specialized course . The criteria for admission is portfolio assessment & personal interview .